Everyone should have this in their cars this winter. Portable Car Heater is the best unit on the market for defrosting and temporary heating. It is easy to set up plug in car heater — just plug it into your cigarette lighter socket, then flip the switch on the side to either "fan" or "heat." On the "heat" setting, it takes about a minute to start blowing warm air. 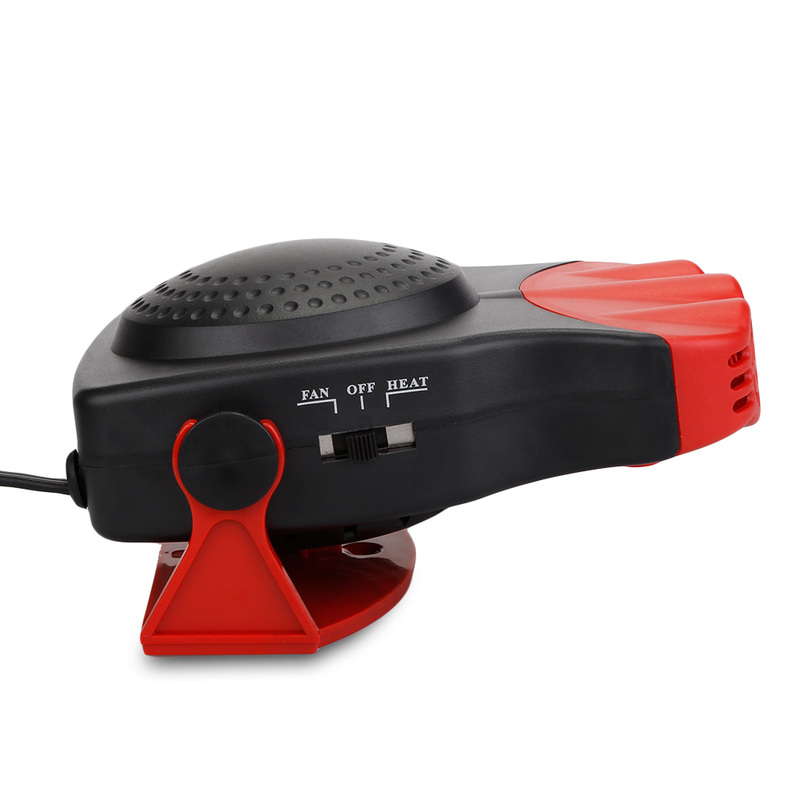 Our car heater also includes a 180-degree rotary holder that allows you to direct the heat up or down.